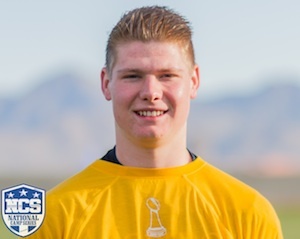 "Skyler is one of the most natural kickers I have come across. He has an innate ability to kick a football. He earned All-American honors as a freshman in High School and has not slowed down since. He is very coachable, very humble, extremely hardworking and walks around with humility. Skyler has committed to BYU as a kicker and punter. They are very lucky to have such an upstanding student-athlete coming their way." 2014 National Camp Series Super Camp Scottsdale, AZ.